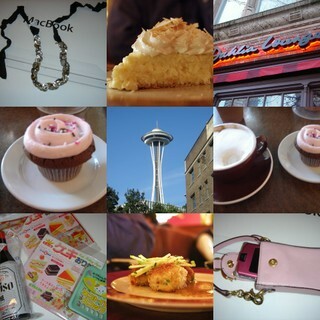 Last Saturday was spent in Seattle and of course I'm just now getting around to posting about it. The main purpose of our day down south was to check out the solo show of photographer Chris Engman at the Greg Kucera Gallery. But we took a few detours before perusing Chris' show. 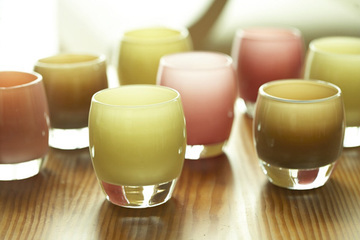 Our first stop was Glassybaby in Greenlake to pick up a kelly green Glassybaby for my friends Sarah's Birthday. Then we stopped by Cupcake Royale in Ballard. Cupcake Royale is in the midst of their Harvest Festival. In honor of the Harvest Festival they have introduced three special flavors of cupcakes: Pumpkin, Apple-Spice and Carrot Cake. They're all delicious and very festive looking. So the day before heading down to Seattle I received an Email from Cupcake Royale informing me about the Harvest Festival but more importantly they announced the arrival of their "plush" cupcakes. Cupcake Royale teamed up with Stuart of Sewdorky to create a plush little Fuzzy Cupcake. The Email stated that "each one is hand stitched, numbered and utterly squeezable. These are a SUPER LIMITED EDITION, so if you want one you'd better get to one of our stores and get it while you can. These hand-made beauties are $20 and are in our stores or online." So when I get to the counter in addition to ordering several real cupcakes I request one of their Stuart made plush cupcakes. The girl at the counter looks at me like she hasn't a clue what I'm talking about and proceeds to inform me that they don't have any. So DON'T go sending out Emails telling people about a new product when it isn't even in your store YET. Of course once I arrived home I placed an online order for a plush cupcake but I'm still aggrevated about the Email. "My current, growing body of work consists of about eight constructed photographs, at present, which take place in the desert at a site in eastern Washington that I found a year ago and has by its gravity kept me going back. The place, for me, has a psychologically charged but neutral energy, like an unformed dream or empty canvas waiting to be acted upon. For inspiration, in addition to the desert, I turn to books: epic novels, epic histories, and fiction rich in visual imagery. I especially appreciate thinkers who address the grandest of human themes, which are also my themes: grandeur and the ordinary, struggle and futility, illusion and disillusionment, meaningfulness, age, and death. Working in the desert has come to be a form of meditation. Days are spent, sometimes with a crew but more often in solitude, wordlessly driving, carrying supplies, erecting structures and sets, and studying the slow progress of the sun overhead and its all powerful, shape-changing, comfort-giving and comfort-taking effects. My state of mind while I work can range from joy and contentedness to emptiness and doubt, and I believe these shifting emotions, intensified by an intense place, carry through into the best of my eventual photographs." The show ends the 30th of September, so if you happen to be in the area I highly recommend checking out Chris' work in person. Plus Sarah just informed me that Elton John happened to be in Seattle recently, checked out the show and purchased SIX of Chris' photographs. According to The Stranger "Chris Engman, a local photographer, was just happy to have his first show at Greg Kucera Gallery this fall. What he couldn’t have known was that Sir Elton would come into the gallery and buy not one, not two, but SIX of his photographs for his personal collection." So thrilled for him. "Henry Darger (1892–1973) was a self-taught reclusive artist who created and inhabited an imaginary world through extensive writings, paintings, and drawings. After Darger’s death, his Chicago neighbor and landlord discovered and made public Darger’s previously unknown volume of work. 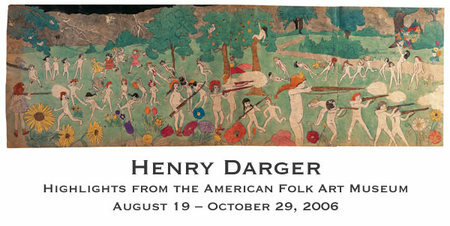 Drawn from the American Folk Art Museum’s Henry Darger Collection, this traveling exhibition includes twenty paintings, drawings, and tracings by the artist, source materials—including newspaper clippings, magazines, comic books, cartoons, and coloring books—and Darger’s personal documents and other ephemera. One bound volume of the original typewritten manuscript for In the Realms of the Unreal will also be exhibited." Now truthfully although I find his work extremely intriguing I also find it unsettling. But it definitely was quite fascinating to see in person. The Frye will have Darger's work on exhibit until October 29th so do check it out. From the Frye we went back downtown to the market to have lunch at the Italian restaurant The Pink Door. It happened to be one of those warm fall days so we just had to eat outside among the hanging baskets and view of the water. It had been a while since having a meal at The Pink Door and either the quality of food has declined or my standards have changed. The lasagna just wasn't as delicious as I remembered. But despite the lackluster meal it was nice to sit outside and enjoy the lovely weather. From lunch we took a quick browse at Watson Kennedy, Nordstrom and Target then headed back home to Bellingham. I've been lusting after this pair of Michael Kors wedges since spotting them last winter and after the hideous week I had I decided I was deserving of a proper treat. This week has been one of those weeks that you're ready to be over when it's only just Tuesday. One of those weeks you don't want to get out of your pajamas. Mid week I headed to Zappos and luckily they still had a pair of wedges in BLACK in MY SIZE on SALE. They just arrived and are truly lovely. Plus they make me 5'8, which is delightful. But besides the Zappos pick me up I have made some major decisions and I'm slowly on my way to coming to terms with something that has been throwing me for a loop. In case you're curious as to why there's been no recent mention of my move to Savannah or the beginning of graduate school at SCAD, let me explain why. In June, after trying to work out how I'd have enough money to cover a cross country move in addition to paying the cost of tuition, I made the decision to defer enrollment for a quarter. I've been working an extensive amount of overtime this summer in order to have enough saved to cover the cost of the move and some of the tuition. In November I'll be flying out to Savannah to find an apartment to rent for December. Then in December I'll officially become a resident of the South. Classes begin early January, so I'll have a bit of time to get settled into southern life before school begins. One positive aspect to starting school in the winter in Savannah is that I'll be missing the height of the heat. So anyway, that's the story in case you were wondering. Oh and the wallpaper on my computer at work is of one of Savannah's squares, so I could keep focused on the reason for my extensive hours at my desk. Also, that Kiehls Coriander lotion is a godsend for dry hands. I took Friday off from work and my Mom and I headed to Seattle for a few days. The main reason for our two day foray down south was for my step sister Kat's (on my Dad's side) wedding, which was being held in Kirkland on Saturday. I insisted our first stop of the morning be at Alderwood mall so I could check out the only Daiso store in the country. If you've never heard of Daiso it's similar to our dollar stores but it's from Japan and everything is of far more superb quality and the variety of items sold is astounding. Although instead of everything being a dollar most items averaged $1.50. Daiso, which translates to "big creation" develops each of its own products. The store carries items that range from ceramic dishes to hair gel and everything in between. I ended up spending $13.00 at Daiso. Most of the items I purchased came from the pet aisle, craft aisle, and party aisle. We ate lunch at P.F. Chang's before heading to Cupcake Royale for cappuccinos and cupcakes. Then it was off to Fremont for a quick browse. We then stopped by Great Jones Home which didn't have much in terms of new offerings. Finally we ended our shopping day at Pacific Place. I found what I think is the most darling necklace at Club Monaco. It's made with vintage beads from Paris, or so they claim. Then while at Nordstrom I spotted the most frivolous of items, a cell phone bag. It's the most ridiculous thing but I just had to have it. We went for dinner at the Tom Douglas owned Dahlia Lounge. There I had one of the most memorable dinners of the summer. The "lemon scallion Dungeness crab cakes, with sweet chili avocado, caramelized romaine, tomatoes with basil and béarnaise." The dish was sublime. A perfect summer evening meal. We ended the dinner with a slice of Tom's renowned coconut cream pie. It definitely lived up to its reputation. Then we headed to our hotel for a long sleep. We began Saturday with breakfast at Cafe Campagne at the market. I had oeufs en meurette (two poached eggs served on garlic croutons with pearl onions, bacon and champignons in a red wine and foie gras sauce served with pommes frîtes). The meal was delicious as always. From there we checked out the offerings at Watson Kennedy. Then it was off to University Village for a few hours before the wedding. Our first destination was the Apple store. I've always owned PCs for as long as we've had a home computer. 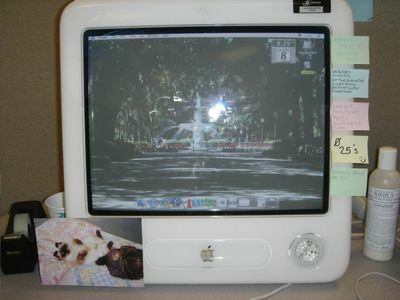 But after using a Mac at work these past few years I've decided my next laptop would be a Mac. Currently Apple stores are offering a fabulous educational discount. So in addition to a $100 off my MacBook I received a free HP photosmart printer and a free iPod. We piddled around University Village for a bit longer before heading to Kirkland for Kat and Jordan's wedding. Unfortunately the traffic over the floating bridge was horrendous and we arrived a bit late. The wedding was lovely and Kat looked just gorgeous. The reception was held at the Red Hook Brewery across from Chateau Ste. Michelle. Jordan's family was very southern, but in the best way possible. The food was delicious and the conversation was extensive. But I must say as happy as I was for my sister it's hard seeing a sibling 5 years younger than I getting married first. I recently completed Stephanie Klein's memoir, Straight Up and Dirty. I must admit that although I am a fan of the memoir genre, Klein's book is one of the few memoirs I've completed written by a woman. 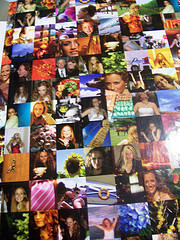 I found out about Stephanie Klein through a post Beth made about Klein's book and blog. I must have been one of the few people who was not familiar with Klein's much read blog, Greek Tragedy, which became the inspiration for her memoir. Apparently Klein literally copies and pastes sections from her blog into her book (hmm). Klein's memoir was destined to be one of those books that I couldn't put down, not because it's so brilliant but because Klein is honest and her story is both amusing (Her ex-mother-in-law was a 'shrub of a woman' who 'sounded like she'd swallowed a southerner' and looked 'like a transvestite who had a one-night stand with a disco ball.") and heartbreaking. It pulls you in much like a soap opera might. You get hooked and know it's not the most intellectually stimulating way you could be spending your time but nevertheless you need to know how the story plays out. "One month after discovering her husband was having an affair, almost 30 Klein made him her 'Wasbund' and started trying to find a man to date again-or better, a 'pair and a spare,' as her telephone therapist advised. She 'rodated' desperately, searching for someone to repair her wounded ego. She even found a reasonably suitable boyfriend-only she broke it off when he suggested living together. At one point she faced the truth she'd avoided from the beginning, that she had to learn to appreciate herself for her own accomplishments before she could have a healthy relationship with a man." 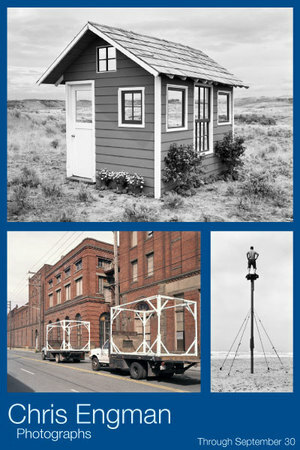 Beyond being a "blogista" and a writer, Klein is also a photographer. Her latest photography collection, “Au Jus,” is featured in The Hotel Gansevoort in the Meatpacking District of Manhattan. After completion of the memoir I was lucky to discover that where Klein's book leaves off her blog picks up. According to said blog Klein has relocated from NYC to Austin and in addition to being with child(s) (she's having twins) is mere days away from her wedding nuptials. In addition to impending motherhood and giving marriage a second try the other eventful thing occurring in Klein's life is that NBC is developing the book into a half-hour sitcom. Despite enjoying the memoir the one significant qualm I had was not with the content of the book but rather the cover. It's just too much. Plus there's also the fact that Klein received a $500,000 advance for this and another book (apparently about her experiences at fat camp). The $ seems a bit excessive for the final result. But aside from the self indulgent cover and the overly generous monetary advance I will go ahead and recommend this book. Oh and apparently it's located in the self help aisle of your local bookstore, which seems odd. Anyone care to venture a guess as to who the next "blogger" to get a book deal will be?